This 100% natural latex product is cut and handmade just for you. It is specially designed to pull-you-in and push-you-out in all the right places. The thickness of 0.40mm(0.016inch) is optimal for both flexibility and durability. 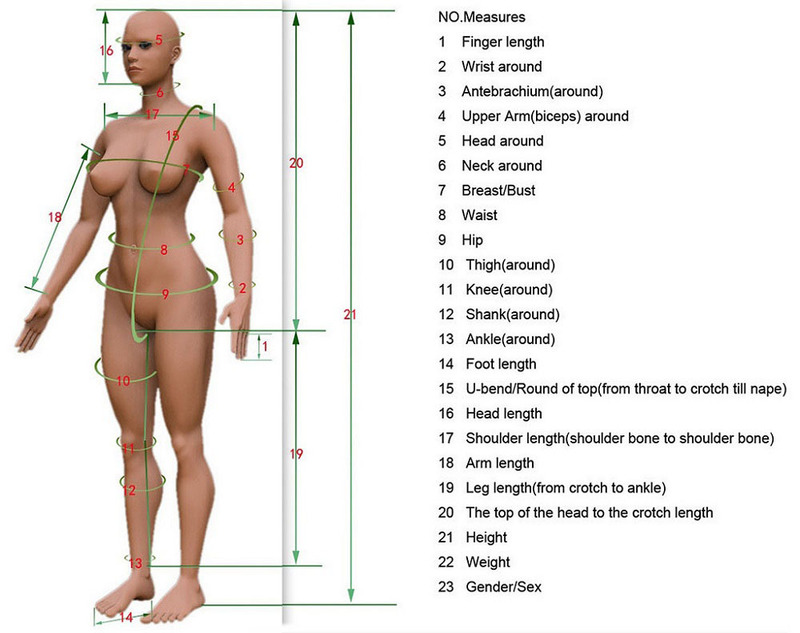 Worn on the body (or applied directly by painting) it tends to be skin-tight, producing a "second skin" effect. -The best quality around 100% natural latex. -All sizes are available. Customization highly welcomed, please Contact Seller. -MOQ is 1pcs for each item; lead time is within 10-20 days. 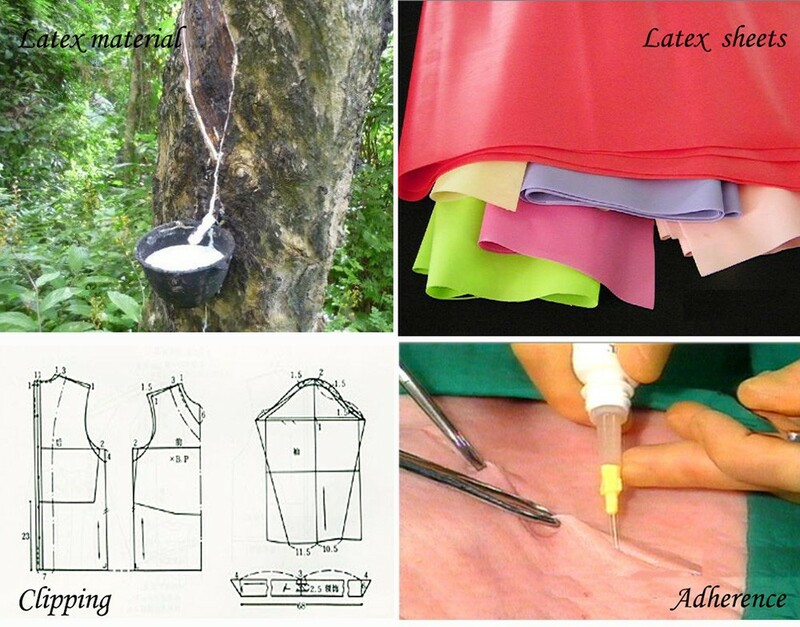 (3) A third method of reducing or eliminating the high friction of latex when dressing is to chlorinate the rubber. Rubber can easily be marked or torn with fingernails if excessive force is used when pulling on your garment. Make sure your garment is well lubricated or talced. You may also wish to wear a pair of light cotton gloves to avoid any damage. When handling latex with bare hands make sure they are clean before coming into contact with your garment. Be aware that rubber can be stained permanently brown if in contact with copper, brass or bronze - take care with copper coins. You can wash rubber garments in clean, warm water. Avoid detergents and soaps. Always wipe away excess water with a soft towel and leave to dry flat or hung up to drip dry. Rubber can be scratched if rubbed too hard, so be gentle. Never tumble dry, dry clean or iron your garment. 1. 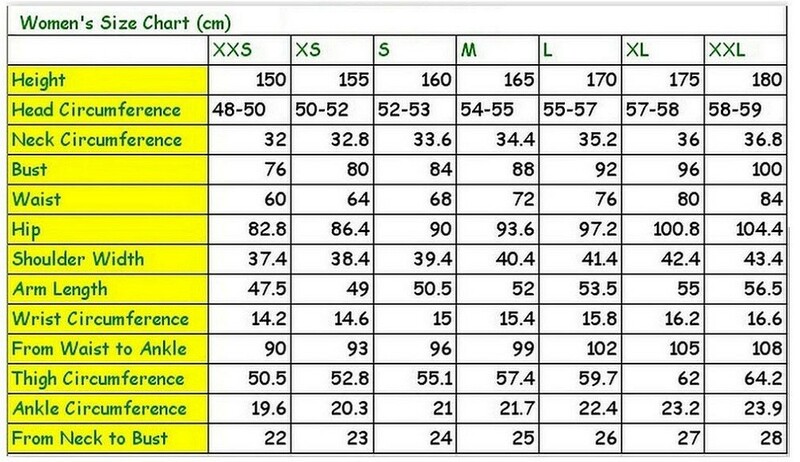 In order to fit you well, please leave your measurements according to our chart showing details or send them to our Address: snail708#outlook.com. 2. The items are handmade that maybe 3% of tolerance. 3. All items can be tracked while shipping. We suggest that you select business express as DHL/ TNT/ FedEx/ UPS. Feedback is very significant to both of us, if you are satisfied with our item and service, please help to post a positive feedback for us, if you are unsatisfied with our item, please contact us first, we will give you a reasonable solutions, Your satisfaction is our first goal. Thanks!